Here's a sneak peek of the flowers I've just made for my August partner in the Inchy Hexagon Flower Swap. I know, I know, I'm always late! So this time I made my September flowers at the same time. I hope my partners like them! I'm so glad that my job is over for another week. 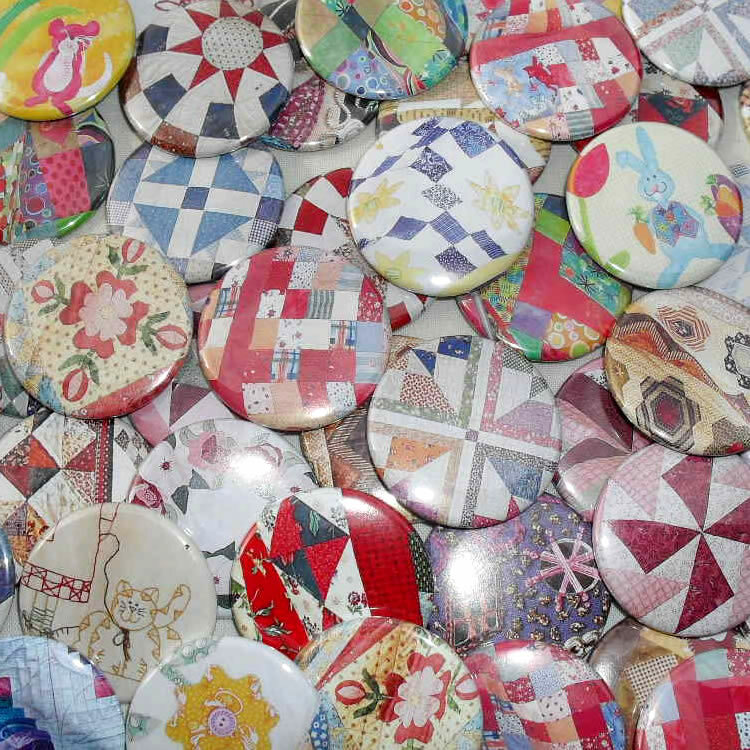 Now I can on with doing the important stuff - patchwork! 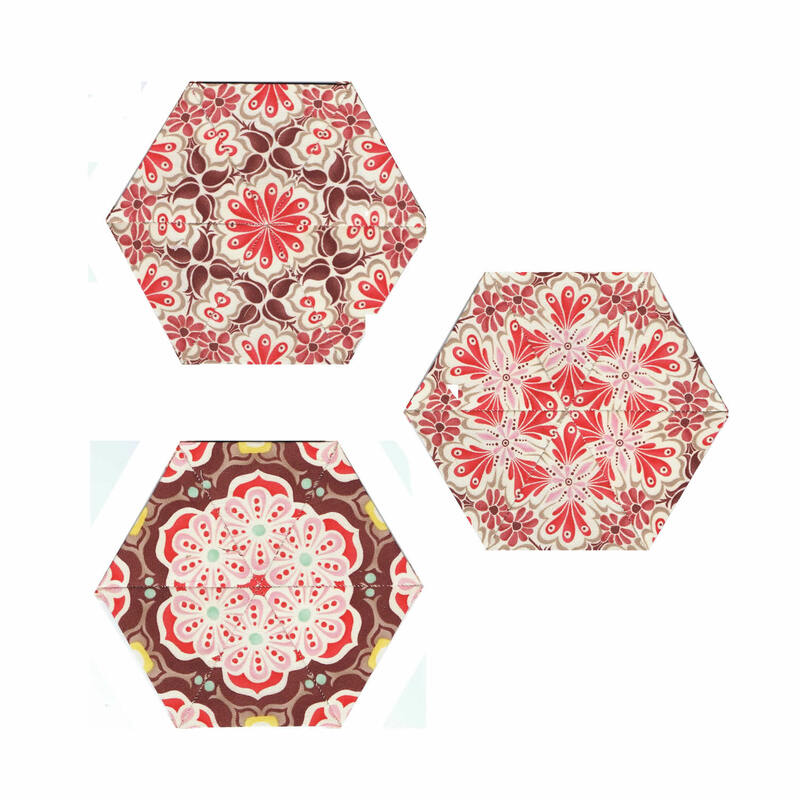 I have die-cut these hexagons from Moda layer cakes, so that you can easily obtain matching fabric for your borders and quiltbacks. I've started off with Etchings by 3 Sisters, Curio by Basic Grey and (my favourite) Hometown by Sweetwater. 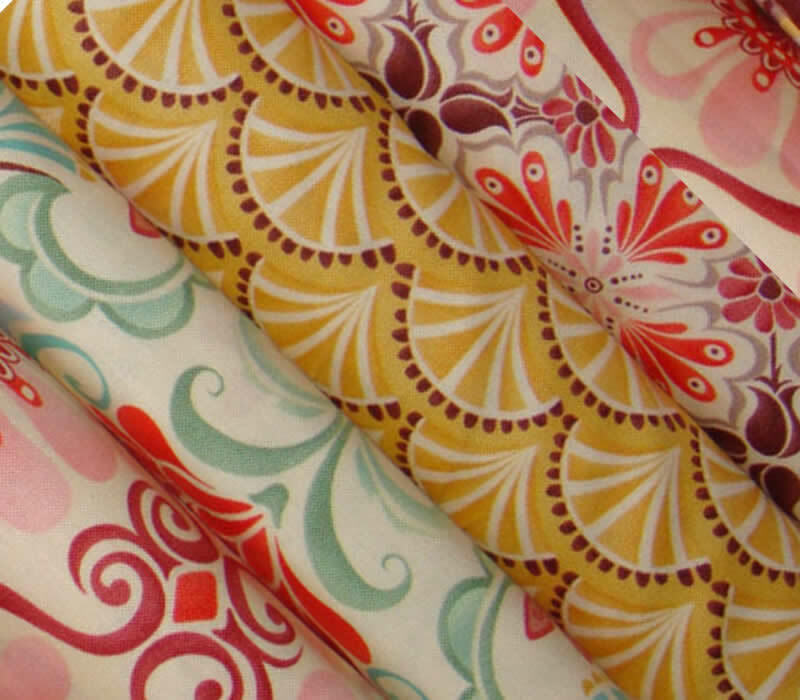 For those of you that like to make a bold and colourful statement, try Oh My by Sanae or Circa 1934 by Cosmo Cricket. 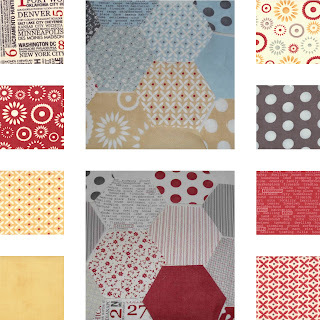 With 42 layers in a layer cake and 7 hexagons die-cut from each layer, that's a total of 294 fabric hexagons per pack. 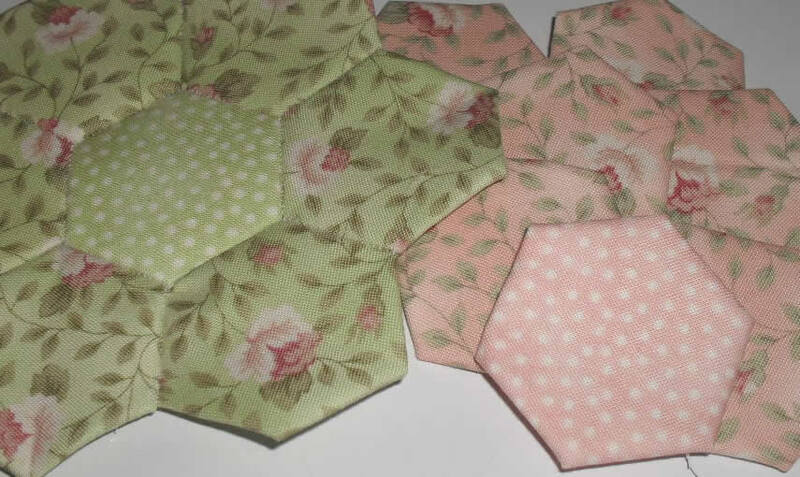 If you like making hexie flowers, that's enough for 6 petals and 1 centre from each fabric. Imagine, no more tedious hand or rotary cutting. 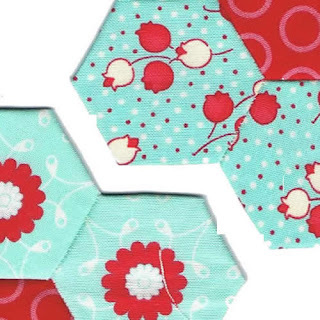 Match these 1 1/2" fabric hexagons with 1" die-cut paper/card hexagons and the only time you'll get out your scissors is to cut your threads off. I've been meaning to make these for you for years. I'm glad I've finally done some, and I have plans to do so much more. 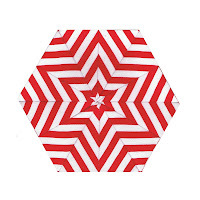 Other pre-cut shapes and sizes, perhaps a cut-to-order service, and definitely more hexies out of more fabrics. 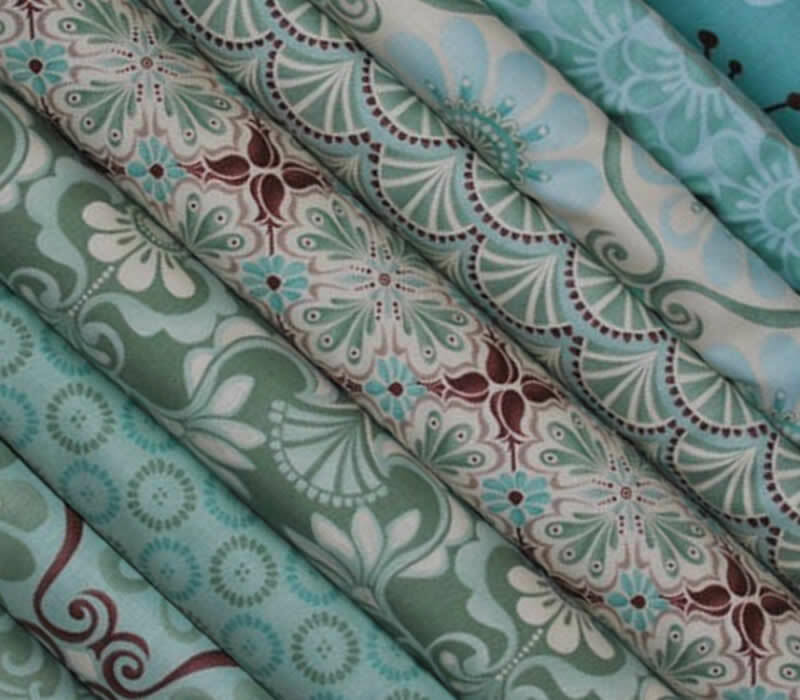 Lined up on my shelf are lots of pretty pastel floral fabrics waiting to be cut, and I'm expecting some of the latest Joel Dewberry and Tula Pink moderns to arrive any day now. The pizza delivery guy just arrived so it's time to get on with the second thing on my To Do list. So why don't you have a look here and see if there's anything you like. Each ad includes a link to the Moda brochure for each range so that you can see the original fabric designs and colours, so don't let my photos put you off. Purchase any pack of fabric hexagons before 17 September and I'll include a free pack of 1" paper or card hexagons. Bye for now, my pizza is getting cold! I had a feeling that I would get distracted by the kaleidoscope concept. I was right. 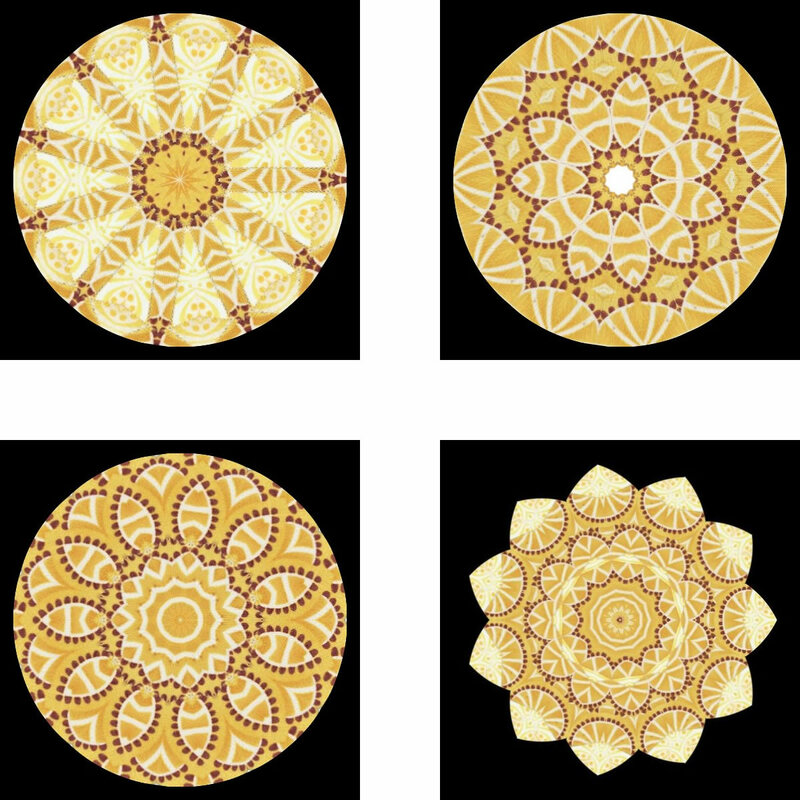 I got totally districted by this amazing online kaleidoscope by Krazy Dad. Paste in any image you like and see what happens. It is amazing. 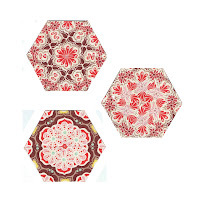 I pasted in this image of some hexagons I made last week. I ended up with over 60 different kaleidoscopic variations. With just one image. And I could have made more. It was sooooo much fun. I keep telling myself I am not not not going to paste in another image, but I just know I will. I cannot resist. I don't think I'll be getting any stitching done at all this week. Here's just a few pics. If you're interested in seeing the rest, have a look in my Flickr . 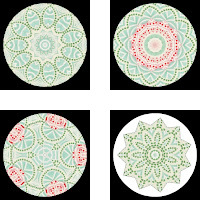 And try Krazy Dad's online kaleidoscope here. I have the feeling that these pics will be ending up as fridge magnets. Or I might try some brighter images. Oh I can't wait till the weekend! 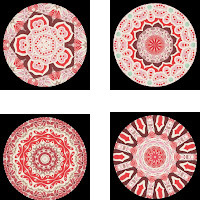 I think I have a new name for my current project - Candy Kaleidoscope. 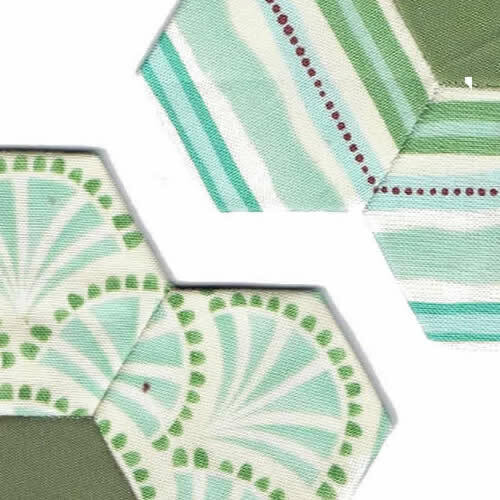 Because I really love the simply-pieced, fussily-cut hexagons I've been making lately, and the lovely Gayle said they reminded her of one. One of my top favourite childhood memories is of my grandmother's kaleidoscope. An honest-to-goodness old-fashioned one (because it was such a long time ago LOL). If I close my eyes and imagine looking through the hole, I can still see the everchanging colours and movement. And hear the soft swish of the tiny glass pieces fall over each other like sand. I was completely fascinated by it. 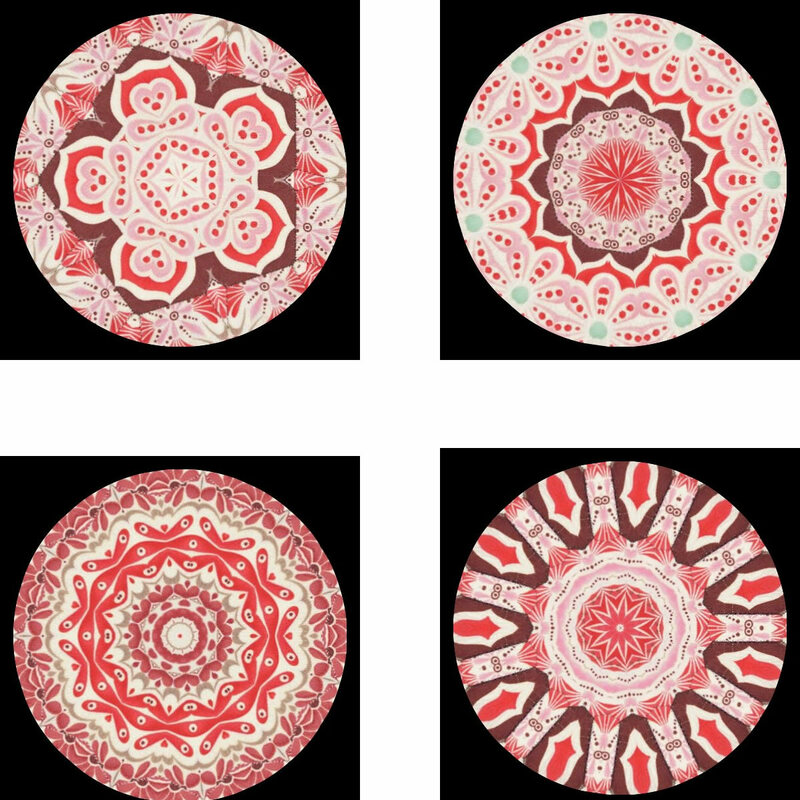 When it popped into my mind a few months ago, I went online and found the most beautiful kaleidoscopes, glass paperweights and glass bottles I've ever seen, at the Light Opera Gallery. 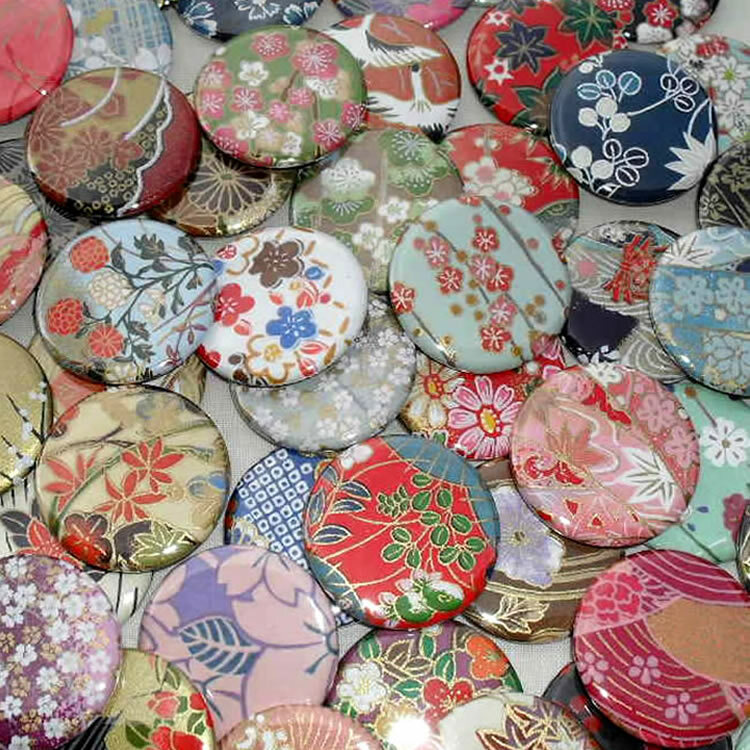 I can only imagine what these gorgeous objects look and feel like. Anyway, back to reality. Here's a picture of my latest blocks, hot off the press. Notice anything different about the red/brown one on the right? It has an octagon in the centre instead of a hexagon. 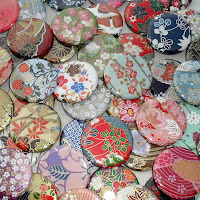 I made it specially because I wanted to tell you that I just picked up some new custom-made dies yesterday for making die-cut octagons. 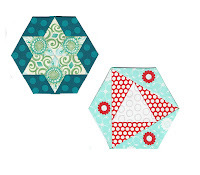 I like the octagons with 1" sides but the 2" ones are huge! They are 4 times the size of the 1" ones. I think I'm going to have to get a die made up for 1 1/2" octagons. 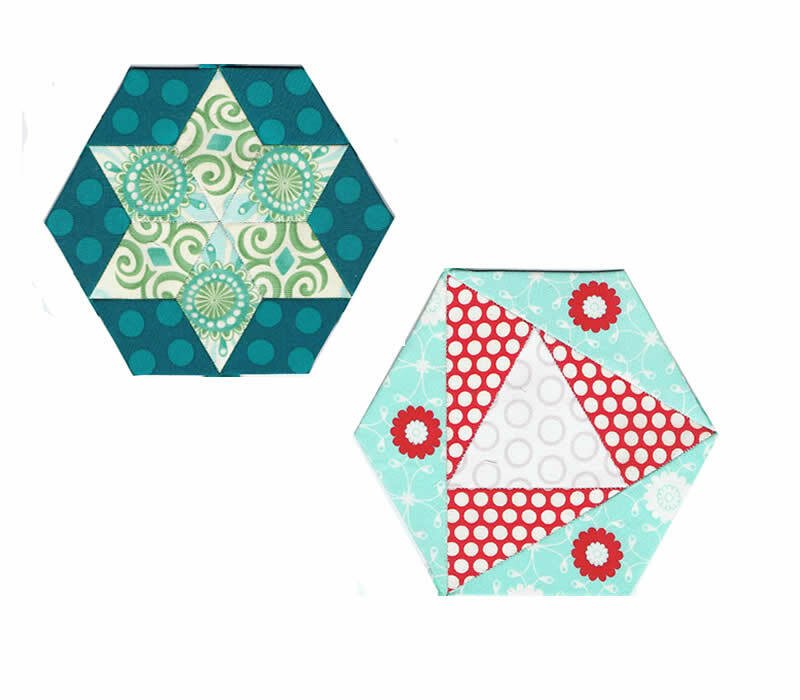 So if you love hand-piecing but are a little tired of hexies, you might like to try octies for a change. You can find them here. Hi Everyone, it's just a quick post tonight to tell you the winners of my Candy Packs giveaway. The first name drawn was Linda Coleman from Ireland. Congratulations Linda! 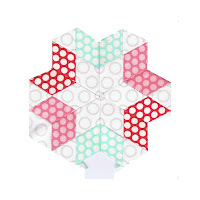 You've won a nice big pack of: 100 x die-cut 1" hexagons, 100 x 1" diamonds, 100 x 1" triangles, 100 x 1 1/2" hexagons, 100 x 1 1/2" diamonds and 100 x 1 1/2" triangles. Will these suit one of your projects? Or would you prefer to receive something different? Let me know. So there we have it. Our international winner is Linda and our Aussie winner is Barb. Congratulations to both! I love hand-stitching, but boy doesn't it take a long time to finish a project! Sometimes I just want to do something quick and easy, or try a completely different craft. 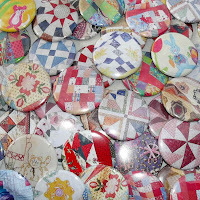 I ended up cutting out snippets of patchwork quilts and applique projects from annual Australian Patchwork and Quilting diaries and turning those into magnets too. I've listed some here in my shop, I hope you like them. 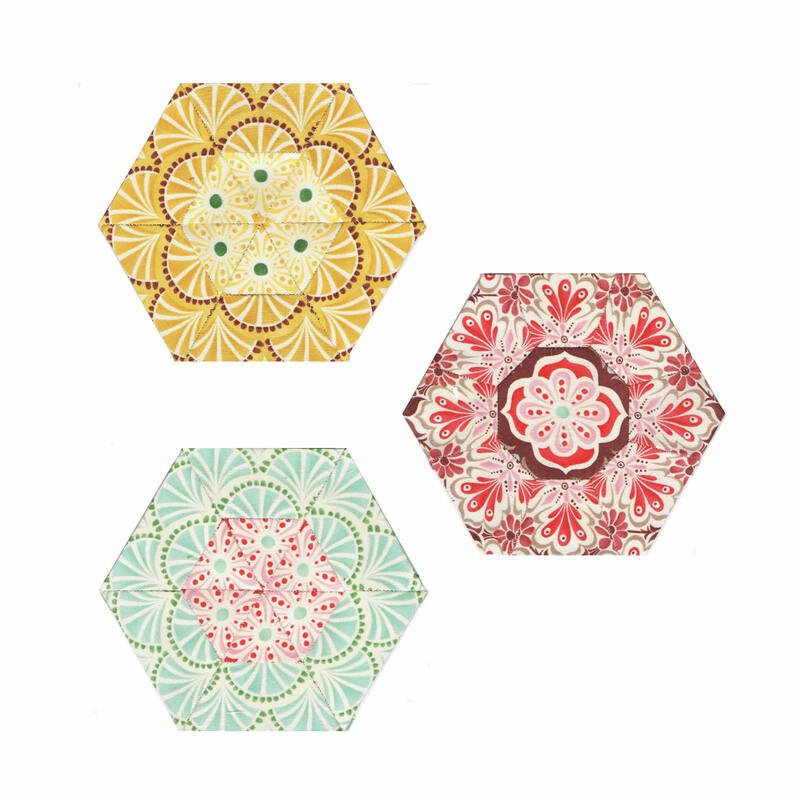 If you've been following this new blog, you'll know that my favourite favourite project right now is my Candied Hexagons quilt. I mentioned it in a recent post but if you want to know more about this Hexalong, visit Lily's Quilts. I am continually inspired by the creativity of everyone in this Hexalong. There's so much variety in the fabrics and colours used. You can see all the latest Hexalong photos (including mine) here. The great thing about Candied Hexagons is that no two blocks are the same. 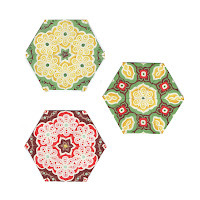 You mix and match hexagons, half-hexagons, triangles, diamonds, basically any shapes that fit together. Yes that's 600 pieces in the Candy Pack. All pieces are die-cut by me myself and I, so you get to choose from paper pieces or card pieces. I'm giving away two packs, one to the first Australian entry drawn and one to the first International entry drawn. Shipping included. If you're interested in maybe purchasing a Candy Pack, I've listed them here in my store at a 20% discount compared to buying each shape/size individually. Hi everyone in Blogland. I haven't forgotten about you. It's just that now that my holidays have ended and I'm back at work, there just aren't enough hours in the day. I know I promised another giveaway, but I'll have to keep you all waiting just one more night. 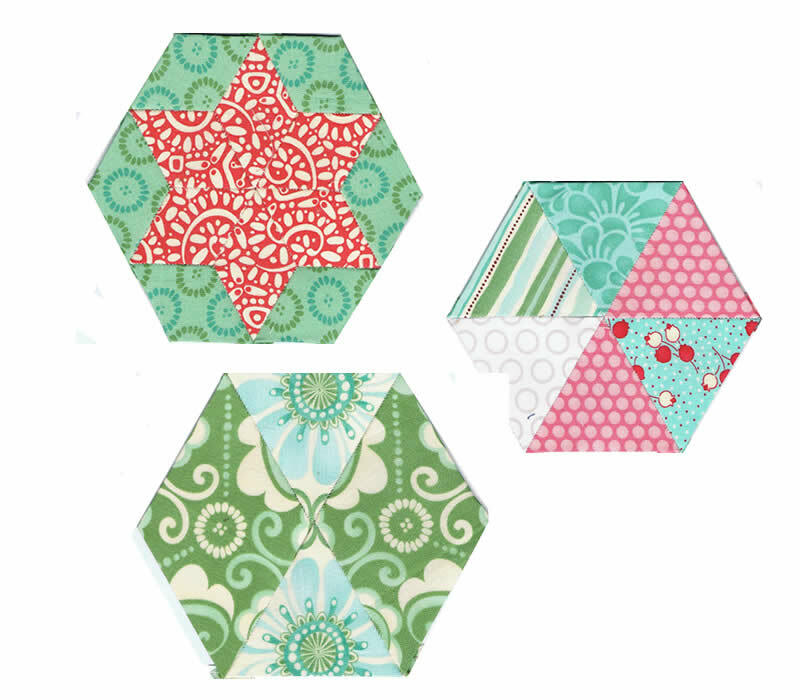 Tonight I am determined to finish this sweet little block for my Candied Hexagon quilt. Tomorrow night. Giveaway No. 2. It's just a quick post tonight to let you know that the final winner in this giveaway is Anita from California. Congratulations Anita! I'll be mailing out the last of the packs to the winners tomorrow and will add you to the list. Thanks everyone for participating in my first giveaway. It has been great to connect with you and to find so many new blogs to read. 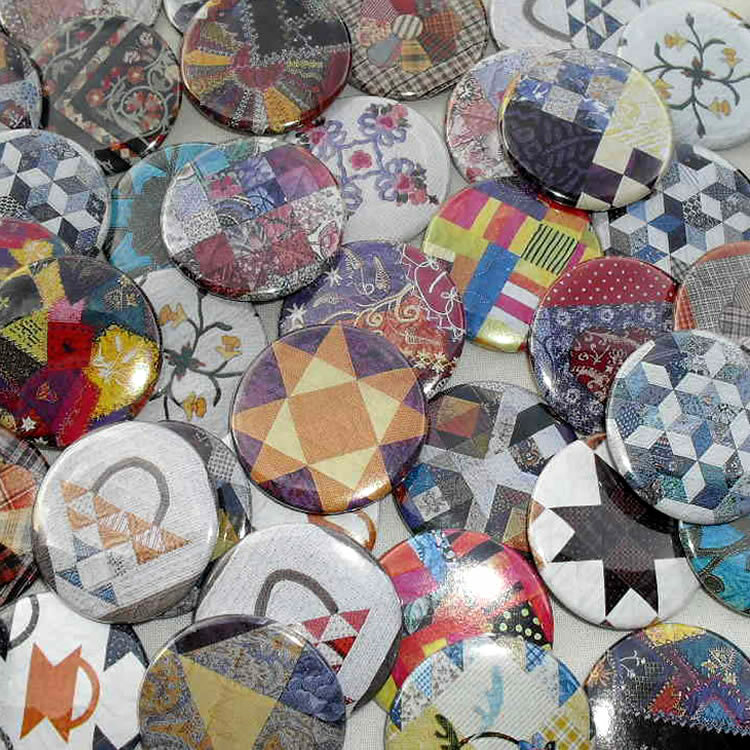 And thanks for all your ideas about new shapes/sizes that you'd like me to make for my store. I've certainly got my work cut out for me. Here's the full list of winners. Congratulations everyone! Tomorrow night is the last night of my first giveaway. So far I've been making my Hexalong (Candied Hexagons) quilt from these aqua blues and sea greens from the Fandango range by Kate Spain for Moda. Plus a few reds from my stash. Today I received a parcel containing these other colours from the Fandango range. I can't wait to use them! 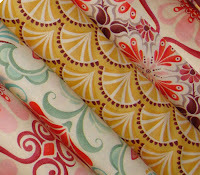 I'm also excited about trying some challenging blocks posted by Lynne from Lily's Quilts here. But before I go, I need to tell you tonight's winner of the giveaway. It's one of my Forum friends, Liz from Canberra, Australia. Congratulations! 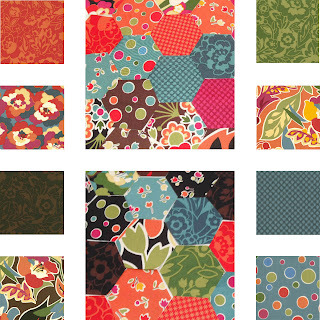 Have you ever seen a quilt that you absolutely positively no-doubt-about-it have to make? When I saw this quilt a couple of weeks ago, I was instantly smitten. I cut my papers immediately, opened my never-been-used fabric glue pen, and life has not been the same since. The Candied Hexagon quilt has been around for a few years, but this one by Lizzie Broderie is just so yummy. Whenever I look at it, I see something new. 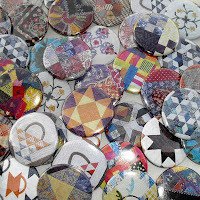 Also check out the amazing circular blocks that she has pieced. 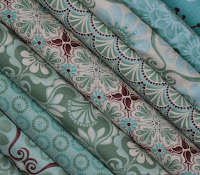 Her use of colour, her fussy-cut fabrics and her amazing skill and neatness are a real inspiration. Luckily, I wasn't the only one who fell in love with this quilt. 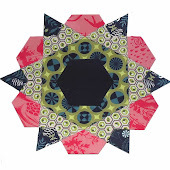 Lynne from Lily's Quilts has been posting patterns, Gayle Brindley has been keeping us in the mood with the prettiest blocks, and they're both helping us out with tutorials covering everything from the basics of english paper piecing to how to design and sew blocks with curved pieces. But before you do, join me in congratulating tonight's winner of the giveaway, Paul from Ohio. Congratulations Paul! PS There are still two more draws to go. 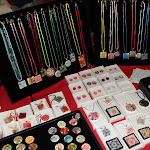 To be in the running, go to http://pbpatch.blogspot.com/2011/07/my-first-blog-day-3-its-time-for.html. Tonight I am stitching, just stitching, and nothing but the stitching. No work, no housework, and I don't even think I'll bother to make dinner. I just want to stitch. Wow - another kitty cat wins. Last night it was QuiltKitty, tonight it's CatsWhiskers. Congratulations CatsWhiskers! 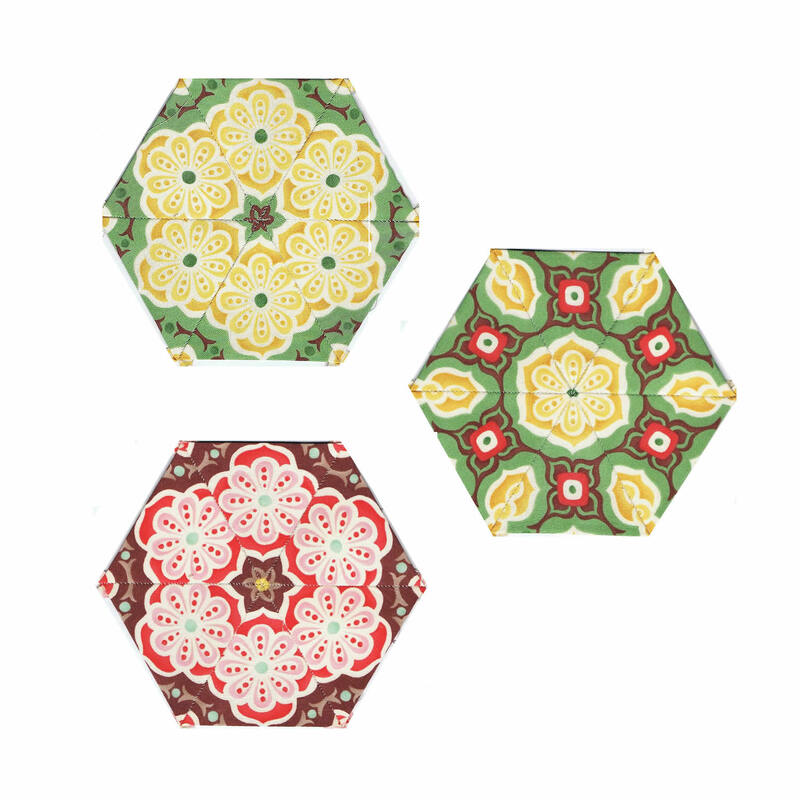 Some die-cut hexagons will be heading your way. Last night's winner was QuiltKitty from Perth. Tonight's winner is ... QuiltKitty from Perth! Instead, for your viewing pleasure, I'd like to share the most amazing thing I've seen in I don't know how long. I call this one "But wait ... there's more!" I wish I could call today the 32nd of July. That way I wouldn't feel so bad about being late finishing my July swaps. One hexie flower done and another to go. I hope my partner will like these pretty little florals. And 5 giveaway draws are done with 5 more to go. 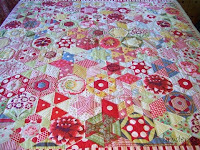 Tonight's winner is QuiltKitty from Perth, Australia (who must be a very busy lady if her blog is anything to go by). 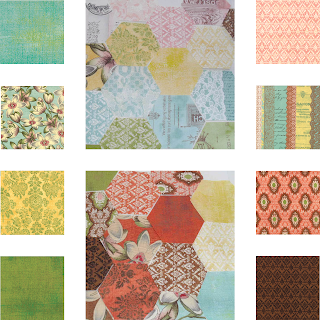 Congratulations QuiltKitty, would you like some paper or card hexagons for your Vignette Quilt, or something else for a new project? Back to my stitching now, and back here tomorrow night for draw 6. Bye!